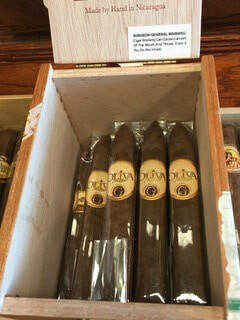 There you are, standing in the cigar shop walk-in humidor. How do you go about selecting a cigar? The choices can be overwhelming. What do you consider first? Size and shape are important, but so is the wrapper color and, of course, the price. All these contribute to the most important consideration: Will it taste and smell good to you? Tobacco and curing techniques vary between countries and even between regions within countries. Your local tobacconist may have an array of premium cigars from the Dominican Republic, Honduras, Brazil, Nicaragua and the United States (just to name a few). Cigars from the Dominican Republic are the most popular in the U.S. mainly because the country produces 50 percent of the total market here. The cigars also are preferred because they are the closest cigar-producing country to Cuba, and the overall growing conditions are similar. The Dominican cigar flavors are usually sweet and nut-like, with mild aromas and easy on the palate. Cigars from Honduras, Nicaragua and Brazil are very robust and not for the novice smoker. What about U.S. cigars? My favorite cigars are made in Austin, Texas – Bobalu Cigar Company. They make all their cigars right there. Taking all this in can confuse you and here is where it gets more confusing. Nearly all cigar makers have one cigar that is what they call a ‘puro,’ all the tobacco in the cigar comes from that country. This is neither good nor bad, but usually does not make for a very complex cigar in flavors and aroma. In my opinion, these are “one note” cigars. It would be like listening to a song that was all sung on one pitch. The complexity enters with blending, which I wrote about in an earlier article. Now, cigar makers from any country in the world can get tobacco from any other country and blend them together for their own very unique flavors and aromas. All cigar makers have multiple blends and usually one that will fit your palate. The color of the wrapper is a two-fold decision. It does effect the smoking experience, and there are some aesthetics coming in to play – what looks good to you. You will find green wrappers (ugh, tastes like grass clippings to me), light tan, brown, reddish, dark brown and black. You might think that the darker wrappers are stronger, but that is not the case. 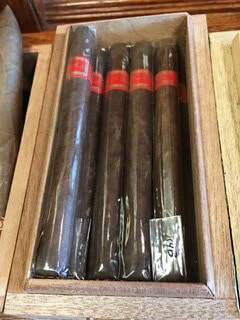 The dark brown wrapper, called a maduro, is usually smooth, slightly sweet and has nice earthy and even floral aromas. The size and shape of the cigar are some things to think about, as well. The popular size for the average smoker is a cigar that 4 to 6 inches and no thicker than your thumb. I call it “rule-of-thumb” size. You have to pick up the cigar and see what fits in your hand and see if it is too thick, too thin, too long or too short. The last decision point to look at are unusual shapes. Some cigars are pointed at one end; some are flat on all sides; and some are pointed at both ends. I have not found much difference in any of this. However, a pointed-tip cigar is easier to cut and put in your mouth. So, I gravitate toward those. Lastly, the cigar shop’s tobacconist is always a good resource. I usually ask them what is new, what is mild, which one will not drive away my friends and, of course, how much does it cost. Yes, ask the man or woman behind the counter for a recommendation. If he or she does not know anything about cigars you need to find another cigar shop. If any of you are interested in getting together to smoke cigars, swap cigars and discuss blends, likes and/or dislikes, contact me at doctoxin@cox.net. Now that the warmer weather is coming, it is nice to sit outside, relax and enjoy a good premium cigar. Cuban cigars have been the forbidden fruit for U.S. citizens since John F. Kennedy signed the trade embargo in 1962. Of course, that was after he told his Press Secretary Pierre Salinger to buy him 1,000 Cuban cigars. Salinger brought him 1,200. Were Cuban cigars really that good, or was it just a myth? JFK thought so, and so did most of the cigar smokers around the world. Today, Cuban cigars are not necessarily the best in world but they are still in the upper quadrant of premium cigars. The majority of the tobacco growers in other parts of the Caribbean came from Cuba and brought with them seeds from plants they cultivated there. Some Cuban cigar companies even opened up factories in other part of the Caribbean. I have smoked cigars from the Montecristo factory in Cuba and the Dominican Republic, and I cannot see any difference at all. When the embargo is finally lifted, there will be a huge run on Cuban cigars. This will wear off when people start realizing that the mystic of the forbidden cigars did not make them better, it just made them more expensive. A good cigar is a good cigar no matter where it comes from, but the opinion is still there that Cubans have the edge. I have to admit that when I am evaluating a cigar I want it to have that unmistakable aroma of a Cuban. I won’t rehash the rules of the embargo, but I do have information directly from U.S. Customs. Some things did change toward the end of 2016. According to U.S. Code of Federal Regulations (31 CFR 515.204), if you are in a country that sells Cuban cigars you are allowed to bring them back to the U.S. for your own personal use, or to pass out to your friends. Selling them is considered commercial importation and that is still strictly prohibited. If you see a cigar shop selling Cuban cigars they are either breaking the law, or they are selling fakes. If anyone is going outside the U.S. or even to Cuba, I will be happy to accept a few Cuban cigars for my research, of course. Can You Still Find a Good $2 Cigar? Many years ago my former editor with the New York Times, Gary Manelski, and I were on a quest looking for a good $2 cigar. Then, the government started taxing premium cigars so much that it became a challenge to find a good cigar for under $5. Yes, there are many seconds of top name cigars being sold on various websites, but those cigars are always limited. And once you get them, well, there is a good reason that they are seconds. The same is true of closeout specials. The prices seem almost too good to be true and the deals too good to pass up. But there is one problem: Most of the deals I have seen online are for cigars that I have never smoked before and reviews are difficult to find. However, I’ve bought them because of the price and more than likely have been disappointed. In some cases, I have been very lucky. During both of my deployments to Afghanistan, Jeff Lipton, owner of Bobalu Cigars Co. in Austin, Texas, sent hundreds of cigars to the servicemen. As a thank you to him for his generosity, I wrote reviews about the cigars and got them published by the New York Times. This helped his sales immensely, since most of his customers found him by word-of-mouth. He currently offers more than 40 different cigar blends, 15 of which are what, I feel, are the foundation of his business. They are simple to remember, no fancy Spanish names just different-colored bands – red, black, blue, yellow, orange, purple, white with blue or purple lettering, green, brown, gray and a few variations like a red sun for a Coroj Criollo and some aged tobacco from 1998 and 1991. Last month, Jeff announced that Bobalu was starting a $2 Cigar Club. I was skeptical, so I contacted him and asked if these were a special cheapo blend, short fill, or perhaps seconds? He assured me that all of the cigar bundles he sends out to his $2 Cigar Club members are from his regular blends that are production over-runs. Then he shipped me seven sticks as typical examples of the $2 cigars. Even though all of these are very different blends, every single cigar had a great draw, even burn, good smoke generation, nice solid ash and, most important, they were all smooth smoking. After smoking all of these cigars, I felt obligated to join Bobalu’s $2 Cigar Club and see if this was just another deal that was too good to be true. When the cigars arrived they looked good, smelled good, felt firm and all of them had the same type of roll indicative of cigars made by master rollers. They rested in my humidor for just a few days at 70 percent humidity. I started smoking them and they were just as good as the samples. These really are $2 cigars, and they are great! Cuba and he said these were better. I am anxiously awaiting my next bundle. Nicotine is one of the most studied of all drugs. At the beginning of the century, the earliest research into neurotransmitters involved the effects of nicotine. The nicotinic receptor was the first neurotransmitter receptor to be identified. Nicotine mimics the actions of acetylcholine and has been shown to affect many other neurotransmitters. There has been considerable research into the role of nicotine receptors in the central nervous system in human cognitive functioning. The research has revealed an important connection to nicotine and increased brain function. Most medical researchers will not want us to know this obscure fact. Such an example of how tobacco might just help us is to look at Alzheimer's disease. Alzheimer’s is characterized by a loss of cholinergic neurons in the basal forebrain with an associated loss of nicotinic receptors. This group of cells is critical both for the regulation of cerebral blood flow and cognitive performance. Clinical studies have shown that intravenous administration of nicotine to non-smoking Alzheimer's patients produces significant improvements in long-term recall and attention span. With this type of positive medical research many companies are excited by the idea of using tobacco to produce pharmaceutical drugs. Scientist have even succeeded in using genetically modified tobacco plants to produce medicines to treat several autoimmune diseases, inflammatory disease and even diabetes. Tobacco, in particular cigars, have been used to treat PTSD and other behavioral disorders. During the 1980 tobacco blight in Cuba, the Castro government banned cigar smoking so that the country could keep up with its export business. The only citizens that were allowed to smoke were those under psychiatric and psychological treatment. This may be one of the reasons that the U.S. military has not stopped combat troops or veterans from smoking. It raises morale and relieves stress. No, tobacco is not famous for its health benefits. These article offer just a small bit of information about how tobacco has had a positive effect on our society. If you’d like to share your thoughts on these recent columns, email me at Doctoxin@cox.net. Four species of tobacco have been important to the Indians of the Americas. Nicotiana rustica, which I mentioned last week, is a hybrid species believed to have originated in the Andean highlands of Ecuador, Peru or Bolivia, and arrived in North America possibly through Mexican and Caribbean routes. At the time of Christopher Columbus, this highly potent tobacco plant was already being cultivated throughout South and North America. The nicotine content of this species is the highest of all tobaccos. Nicotiana tabacum is also a hybrid species and believed to have originated in the Bolivian Andes. It was widely cultivated pre-Columbus in eastern South America from Brazil northward and in Colombia, Central America, Mexico and the West Indies. It was introduced to Virginia in the early 1600s from the Spanish West Indies. Except for a few instances of ceremonial use, this species eventually replaced the older tobaccos used by Native Americans. It is not known whether it was Nicotiana tabacum or Nicotiana rustica that Columbus and his expedition first saw being used by the Indians. Nicotiana tabacum is the main species of commercially grown tobacco today. Nicotiana quadrivalvis is a native species of western North America. It grows wild from southern Oregon to Southern California. It also was cultivated by Native North Americans. Lewis and Clark on their expedition up the Missouri River (1804-1805) found this tobacco being grown by the Arikara, Mandan and Hidatsa Indians of South Dakota and North Dakota. Nicotiana multivalvis is another native tobacco of western North America cultivated by Native Americans. It was an important ceremonial and ritual smoke plant. Its distribution extended from the Pacific Coast eastward. Most of tobaccos historical uses were taught to Europeans by the indigenous peoples all around the world that cultivated and used tobacco. Analgesic to alleviate pain, to treat parasitic worms, anticonvulsive, diaphoretic, diuretic, poultice for boils and insect bites, as an emetic, for various dermatological conditions like rashes, to treat colic, for kidney problems, to treat apoplexy, snakebite, toothaches, dizziness, fainting, as an antidote against other type of poisonings, to curb insanity, and it was even used to try to cure tuberculosis. I hope you’re enjoying learning about the many uses and history of tobacco. Be sure to catch my wrap-up next week. And if you’d like, let me know what you’re thinking on the subject. Email me at doctoxin@cox.net. Archaeologists have found a great deal of prehistoric indirect and direct evidence of the use of tobacco. The presence of pipes at archaeological sites is indirect evidence since, historically, other plants besides tobacco were smoked in pipes. Direct evidence comes from the presence of carbonized tobacco seeds. The oldest records of this type in eastern North America date back to C.E. 100. Evidence of pipes predates this by 1,000 years and Nicotiana rustica has been identified at Iowa archaeological sites – the oldest dating to C.E. 550. Nicotiana rustica is a very potent form of tobacco called Mapacho in South America. The nicotine content is close to 10 percent, while in normal tobacco leaves it ranges between 1 percent and 3 percent. This plant is used in the preparation of pesticide, and has been used in very small doses as a medicine for colon problems among indigenous peoples of South America. Even back in the Old West, traveling medicine shows picked up this bit of medical trivia and sold tobacco suppositories to cure indigestion, diarrhea and constipation. History has records of missionaries, soldiers, travelers and scholars writing about the use of tobacco by indigenous peoples of the Americas since it was first encountered by Christopher Columbus’ expedition of 1492. They learned tobacco’s importance was multipurpose – social, in friendship and war; fertility, promoting agriculture and courtship; spiritually, to incur trance spirit, consultation, magical curing and medicine. They also learned it was a powerful plant that, in small doses, was able to stimulate as well as depress hunger and thirst; in large doses to produce visions and trances. Two members of Columbus’ crew, Luis de Torres and Rodrigo de Jerez, were the first Europeans to encounter tobacco smoking. Bartolome de las Casas, a Spanish Dominican priest, wrote about this in his book “Historia de las Indias” in 1527. The book was the personal journal of Christopher Columbus. Yes, that is a very true statement, but let’s look at what that statement is targeted at. What tobacco product has been literally beat up in the press (and I might add with good reason) – cigarettes. What about cigars? The press has had a field day lately, but I believe that cigars have been targeted without all the facts. I have done a little research into this and have found some interesting facts, which may surprise you. Tobacco is considered to be a poisonous plant, i.e. a natural toxin. I know, this does not look like a positive statement, but a lot of plant toxins are being used in medicine. The tobacco plant is a member of the nightshade family called Solanaceae. This family includes food group plants such as the potato, tomato, pepper and eggplant, and various poisonous and medicinal plants such as nightshade, henbane, Jimson weed and even garden plants like the petunia. There are more than 64 species of tobacco. The tobacco plant grows naturally in various parts of North and South America, Australia, a few South Pacific islands and one species in Namibia, in southwestern Africa. Many nightshades produce alkaloids of varying toxicity with narcotic or poisonous effects. Nicotine is the alkaloid in tobacco. In its natural form, nicotine is a colorless volatile liquid and alkaline in reaction. This chemical was first isolated in 1807 by Gaspare Cerioli in Italy and Louis-Nicolas Vauquelin, a chemistry professor in Paris. It was called the oil of tobacco. Later, in 1822, a well-known German chemist extracted the same chemical from tobacco smoke. Sigismund Friedrich Hermbstadt named it Nicotianin after Jean Nicot, the consul of the King of France, who first introduced tobacco to Parisians in 1560. Hermbstadt is best known for his treatise on improved techniques for the distillation of brandy. I wonder if that’s why brandy and cigars go so well together? So, going back to the chemistry of tobacco, what is it that has made this plant so powerfully important for traditional social, religious, ceremonial and medicinal purposes? It is the nicotine alkaloid. It is that same alkaloid chemical that can, possibly, lead to negative effects as well as illnesses and death. Yes, this is a very powerful chemical. But what about just smoking a cigar? We’ll look into that further next week. Be sure to stay tuned and let me know what you’re thinking at doctoxin@cox.net. This week I decided to showcase a local cigar shop, The Tobacco Leaf. They started their business in 1999 with one shop and now have four locations, two of them only 10 minutes from Sun City – one at I-95 and Lake Mead Boulevard; the other in the Boca Park shopping center at Rampart and Charleston boulevards. On the 15th of every month the Tobacco Leaf has a customer appreciation day when you get to smoke all the cigars you want while relaxing in the shop’s lounge for only $10! This is good because the cigars they offer you to smoke on that day range from $5.50 to $10 each. I always go to the Boca Park location, which has comfortable leather chairs, a big screen TV and a state-of-the-art ventilation system to keep the air clear. When I arrived, Joe, the manager, presented me with an excellent selection of premium cigars. My first choice was an Oliva G, which sells for $6.50. It had an easy draw, solid ash, a little spice in the flavor and earthy aromas. It only lasted 30 minutes, way too fast for the price. My second cigar was a Daniel Marshal at $8.50, with a dark wrapper. I never heard of it before now. The construction was great and the darker wrapper gave the cigar a subtle sweetness with floral undertones. It lasted 50 minutes, also way too short a time for that price. You should be able to smoke a premium cigar from 60 to 90 minutes. 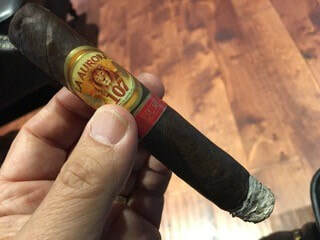 The last cigar was a $10 La Aurora 107, and the wrapper was almost black. This one started very full-bodied but calmed down after a couple of minutes. The cigar yielded strong, woodsy aromas, a flavor of leather but a very tight draw. The tight draw made it burn very slowly, and after 90 minutes I had only smoked it half way. I had already been in the lounge for 3 hours, so I decided to leave. The $10 Aurora cigar was good and it lasted a long time, but the tight draw took away from any positives it may have had. All in all, this was a good day. I spent $10 and smoked three cigars that would have cost me $25. This is a great way to try new cigars and not pay the high price. It is not as difficult as it sounds. The tobacco used as the wrapper will determine much of the flavors and aromas of the cigar, also referred to as the body of the cigar. Light wrappers are usually mild cigars. Most of the time the darker the wrapper, the bolder the cigar. The bold-, mild- and medium-bodied cigars are based on flavor and aroma. Bold cigars are full-flavored but not harsh. Harshness indicates poor blending. A properly blended cigar will always be smooth no matter if it is mild, medium or bold. The classic pairings are single-malt whiskey, bourbon and port. You rarely pair a cigar with tequila and never with vodka or gin. The cigar will overpower that drink and you won’t taste anything at all. I will admit to drinking vodka with some Russian friends, but in Russia vodka goes with everything. You are matching the body of the beverage with the body of the cigar. Mild cigars can go with wines of all types. I prefer dry reds. Medium cigars go well with single malt Scotch. If you are not into Scotch, try Irish. I am not a fan of bourbon or rye, but have been told they go with bold cigars. A rum and Coke or a sweet Caribbean rum mixed drink and a mild cigar will do just fine. If you are sipping port in the evening, definitely pick a medium cigar. A great vintage brandy can accompany any type of cigar. What about beer? A heavy stout like Guinness will take on any bold cigar; ales go with medium, while lagers and Pilsners are good with the light cigars – no mystery there are all. If you do not drink alcohol try coffee, either dark roast or espresso. If you are having trouble picking a mild, medium or bold cigar there is a cigar selector app you can get for your phone. I would like to know what your favorite cigar and beverage pairing is. Drop me a line at doctoxin@cox.net. Before matches were invented, people used something called a cedar spill. This is a splinter of cedar and as it burns it imparts a nice aroma into the tobacco. Many people still use cedar spills. Every shop that sells premium cigars either sells them or gives them to customers for free. Can you use a gas stove? A friend of mine tried that and as he bent over to light his cigar he burned his eyebrows off. You can’t use paper matches or safety matches, either, because they don’t burn long enough to light the tobacco. Long wood matches work well, however, the chemicals from wood matches could get drawn into the cigar as you puff on it during lighting. Today, the most common way to light a cigar is with a butane torch lighter. 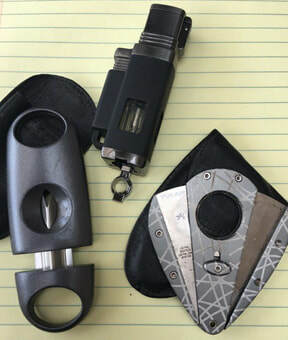 These butane lighters have become status symbols to cigar aficionados and can get very expensive. Why would you spend $3,000 on a Dupont alligator-skin-covered lighter when a $1 BIC will do just as well? In my opinion, the company making the best lighters is Xikar. The average cost is around $50.However, they are guaranteed for life – the life of the lighter, not your life. Now can I light my cigar? OK. Pick up your relatively inexpensive lighter and toast the foot of the cigar until you begin to smell the aroma. I usually take two or three puffs to get it going, then I blow a little air on the foot to push the heat down into the cigar for a more even burn. At this point you should put the cigar down to rest for no more than a minute. 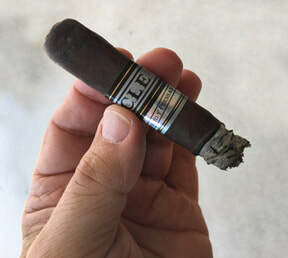 This allows the cigar to burn off the excess bitter-tasking tobacco oils that have accumulated in the foot and establish an even burn. Now you can begin smoking. After smoking the cigar for 5 minutes, I will set it down and walk 5 to 10 feet away. Standing at distance you will pick up different aromas than you get while smoking. This aroma is what everyone around you smells. So, if it is objectionable to you, for certain no one else will like it. If that happens, go find a different cigar to smoke. I usually leave the ash on as long as possible. 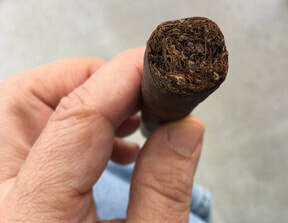 A long ash is a sign of a well-constructed cigar. That being said, if you see any cracks in the ash, you should tap it into an ashtray so it doesn’t fall on you or the floor. The cigar can be smoked down to 1.5 inches in length. Some manufactures put a paper band around the cigar to indicate the point where you should stop smoking. There are just as many that don’t. But for a beginning smoker it is a good guide. Now you are done smoking. There is no need to put the cigar out. It will go out by itself if left alone for too long. The average person takes little more than an hour to smoke a cigar. I smoke slower, closer to 90 minutes because, for me, this is a time to sit, relax and have a drink. Beverage pairing will be the topic for next week. Last week we ended with a finished cigar. I guess now we had better smoke one. Whoa! Not so fast. Which end do you light? Do you cut the end with a knife, scissors, or just bite it off like in the old movies? And what’s up with people licking the outside of the cigar like it was Popsicle? Is there a right way to prepare a cigar for smoking? Is there a wrong way to smoke a cigar? What about that band near one end of the cigar? Do I smoke it? Do I remove it? Do I stop smoking when the cigar has burned down to the band? There is actually a book about this written by a friend of mine, “How to Select and Enjoy Premium Cigars” by Dale Scott (1994). You also need to do a little experimenting on your own (and you thought I forgot about the science). First of all, look at the price and decide how much of your money you want to see go up in smoke. There are plenty of decent cigars under $6. Just because one costs $20 does not automatically mean it’s good. Then look at the shape. Is it straight and smooth, box-pressed, tapered at both ends, long, short, fat, skinny? What are you attracted to? Next, pick up the cigar and smell the foot. The foot? Yes, a cigar has a foot and a cap. The foot is the open end you light, the cap is the part you cut. Smelling the cigar before lighting it is like smelling wine before drinking. You’re preparing your brain for what you are about to taste. Now you’ll want to feel the cigar. Is it rolled loose or tight? A cigar rolled too tight will have little or no draw; too loose and it will burn too fast. You can cut the cigar with several tools such as a guillotine, punch or ‘V’ cutter. The guillotine gives you a straight cut and perhaps the best draw. A punch makes a small hole in the cap and keeps bits of tobacco from getting in your mouth. The V cutter keeps tobacco out of your mouth and gives you a good draw, and it looks impressive. Before lighting a cigar, put the end you cut in your mouth and draw in some air. Does it draw easily or is it like a collapsed straw? If it is too difficult to draw, then it will not be enjoyable. What about the band? Removing it may damage the wrapper, so leave it alone for now. Licking the wrapper of cigars serves no purpose at all other than the fact you will be smoking spit. So, how do I smoke this? “Smoking cigars is like falling in love. First you are attracted by the shape and aroma; you stay for its flavor and must always remember never, never let the flame go out.” -- Sir Winston Churchill. Blending Tobacco, Luck or Science? Top, tobacco leaves are separated and dried. Bottom, the wrapper is responsible for a great deal of the flavor and aroma of a cigar. Photo by Mitch Fadem. Last week I talked about the flavor and aroma profile of a cigar. What is it that determines that? A cigar’s profile comes from the blend of tobacco used to make it. To the non-cigar-smoker, all cigars look the same and appear to be just a bunch of random tobacco rolled into a short stick. If that was case the blender must be very lucky to make a good cigar. There is science at work here, and besides the horticultural process of growing plants there are many other aspects. Great care is taken to cut the leaves from different parts of the plant. The leaves are meticulously sorted, dried and aged in temperature- and humidity-controlled facilities for a specific amount of time. Some leaves are aged for years before they go into a cigar to allow the tobacco to reach its peak flavor. When that happens the blender uses his expertise and knowledge of tobacco to create your next favorite cigar. The blender makes a cigar based on the smoking trends of the time. If nice aromas are popular, the blender uses leaves close to the bottom of the plant; if people want very strong cigars he uses the leaves from the top. A finished cigar is made up of three main parts – the filler, the binder and the wrapper. The filler is the tobacco in the center of the cigar; the binder are leaves that hold the filler together; and the wrapper, aside from being responsible for a good percent of the flavor and aroma, is the pretty. If a cigar looks good people will buy it. Two or three parts can be the same type of leaf or all different. The last step is to test the burn rate of each type of leaf for the cigar. This is done to make certain that all parts of the cigar burn the same. Matching the burn rate will avoid a cigar from burning only in the center. Burning unevenly can cause separation of the wrapper and binder when smoked. Once the blend is finalized the rollers are given the leaves with instructions on how to build the cigar. Because of the scientific method of blending, a master cigar roller can make a perfect cigar in less than a minute. My favorite blend is a triple maduro. What’s yours? Last week the International Premium Cigar and Pipe Retailer Association (IPCPR) held its international convention and trade show in Las Vegas. This was a closed, trade-only event, but I gained access as working media. I navigated my way through hundreds of booths representing vendors from industry giants to small, family boutique blends. Each cigar has its own flavor profile. Now it’s time for a quick science lesson. Scientists say flavor is 20 percent taste and 80 percent aroma. The nasal receptors and taste buds work together. So, what happens when one system fails? Have you ever thought about why you can’t taste anything when you have cold? There are many flavors found in cigars, like coffee, chocolate, wood and leather. At the trade show, I came across Foundation Cigars, a company that offered something I had never experienced. 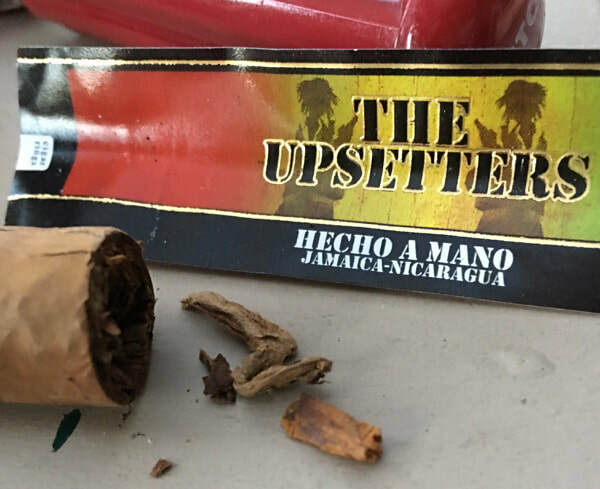 Foundation Cigars is a new company that produces trendy, flavored cigars called The Upsetters. You guessed it, Foundation is marketing them to Millennials. Millennials are your children, grandchildren or great grandchildren, depending on how old you are. The cigars are flavored with a process called Caribbean atmospheric herbal infusion. The “foundation” of this cigar is the Jamaican cowfoot leaf, and it doesn’t even come from a tobacco plant. I was told the cigar’s filler is derived from tobacco plants that are grown alongside herbs that naturally infuse additional flavors. I wish I had a cold before trying this one. I took the cigar out of the wrapper and it had a very unpleasant odor. My wife thought it smelled like old Avon cologne. I had to smell it three times until it hit me what I was smelling – clove, wet hay and lighter fluid. The cigar wasn’t even made with long tobacco leafs. I found chunks of wood, and the filler looked like shredded floor sweepings from a tobacco barn. I tried to give it to my dog to bury in the backyard and even she wouldn’t come near it. The Upsetters held true to its name. This was definitely the worst cigar I have ever smoked, and I had to use lemon juice to cleanse my palate. What is the worst cigar you ever had? Mitch Fadem smoking a cigar in Afghanistan in 2007, when he began writing about stogies for the New York Times. What is this? A doctor with a cigar column? What kind of doctor does that? Okay, let’s clear the air, no pun intended. I am a toxicologist. To be more precise, a toxinologist – a guy who studied naturally occurring poisons like snake venom and poisonous plants. Actually, it is not the toxin that kills you it’s the dose, and the dose is what makes the difference between medicine and poison. I will spare everyone a history lesson and science lecture, for now. I like cigars and so do about 25 million others, about 8 percent of the nation. Las Vegas is one of the best cities in America to be a cigar smoker. If you do the math there are close to 60,000 cigar smokers in Clark County and 1,000 of them probably live here in Sun City Summerlin. I started writing cigar reviews for the New York Times during my first deployment to Afghanistan in 2007. One of the first articles I wrote was about how the tobacco plant was and still is used in medicine (I’ll share more about that in a future article). I gained a reputation for writing honest cigar reviews and I am still asked to critique cigars for several manufactures. This week the International Premium Cigar and Pipe Retailers Association is holding its annual conference and trade show in Las Vegas as they have for the past four years. Why? As I said, this is one of best places in America to be a cigar smoker. The conference is attended by thousands for all over the country and the world. 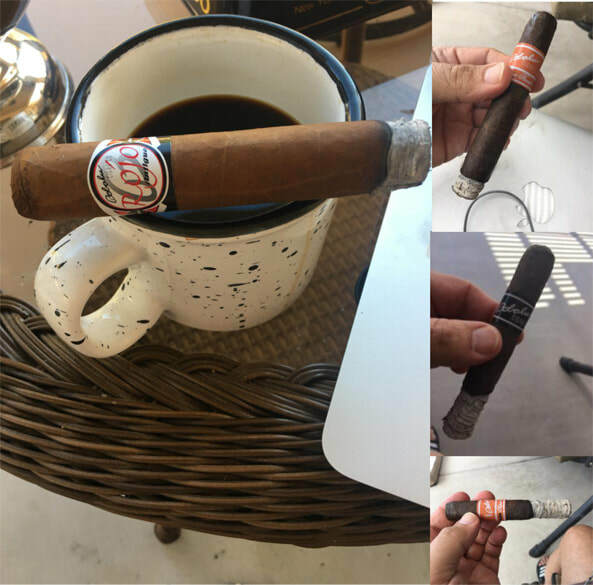 In this column I will talk about some science, the history of cigars, and where you can get and smoke a premium cigar here in Las Vegas. One Summerlin shop, The Tobacco Leaf, 1000 S. Rampart Blvd., Suite 17, in the Boca Park shopping center, will hold a customer appreciation day on July 15 (Saturday). Anyone who comes in can sit in the lounge, watch TV, relax with a cup of espresso and smoke as many cigars as he/she wants for $10. This is quite generous because most premium cigars cost an average of $10 each. 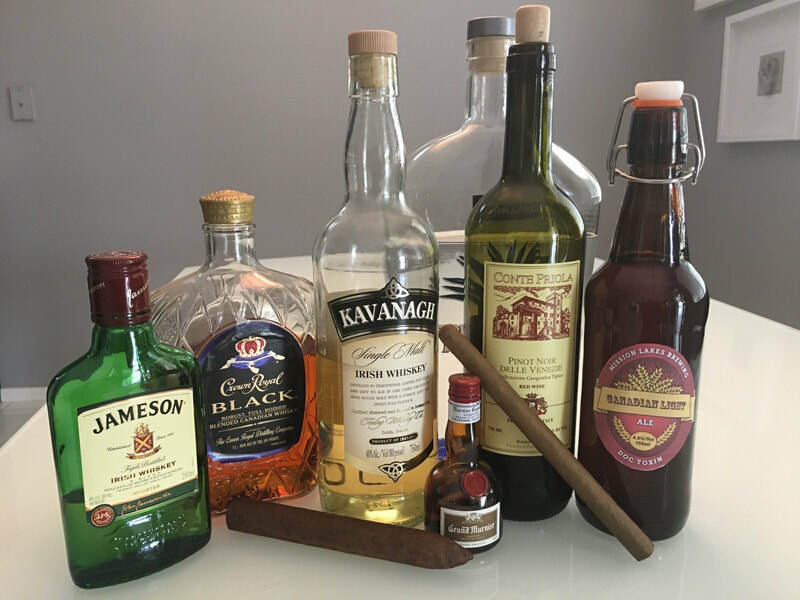 I also will talk about what to drink with cigars, and that is as varied as there are cigar blends. So sit back, relax and get ready for the science of cigars. To contact Mitch with questions about cigars, email him at doctoxin@cox.net.